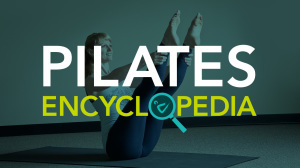 We’ve created this post as a way to see what the difference is between Pilates as it was designed and Pilates as it is often taught. For lack of better terminology, we’re calling this “Gym Pilates vs. True Pilates,” but please know that there are gyms that teach wonderful Pilates and studios that do not! These labels are just for ease of reference. Classes are all-level, open to anyone. In other words, a total newbie or someone with injuries is expected to keep up with a person who's been practicing for years, and the person who’s been practicing for years might not get the appropriate challenge. Honestly, there is no such thing as a real “All-levels” class. Classes labeled as such tend to skew to intermediate. The class is led by an instructor, as opposed to a teacher. She most likely took a weekend crash course in exercises that look like Pilates. The instructor teaches the same exercises with the same cues for every person in the class, in every class they teach. The instructor practices alongside the student without watching the student,and does not offer corrections or modification. Students simply copy the movement they see. Students power through exercises with the mindset that more is better. Students work harder and are often exhausted and sore after class. Classes are divided out by levels in order to offer appropriate exercises for different body and mind types. The teacher (vs. simply an instructor) has at least 200 hours of training, often spaced out over years of their own personal practice, as well as a study of anatomy and teaching practice. The teacher looks at the person in front of them and gives personalized exercises designed to help the body that they see. The teacher focuses on watching and correcting students. She/he is there to help you, not to practice. Students develop their body awareness and concentration by creating the movement in their mind first and then letting the muscles and bones follow, in what we call working out from within. Students learn to pay attention to the quality of the movement rather than the quantity. They learn to apply the mindset less is more. Students learn to move better and more efficiently, so they save energy and feel better. They have more energy to enjoy life. Thank you for your commitment to learning the best possible method for your body! We are thrilled to have you as part of our community.